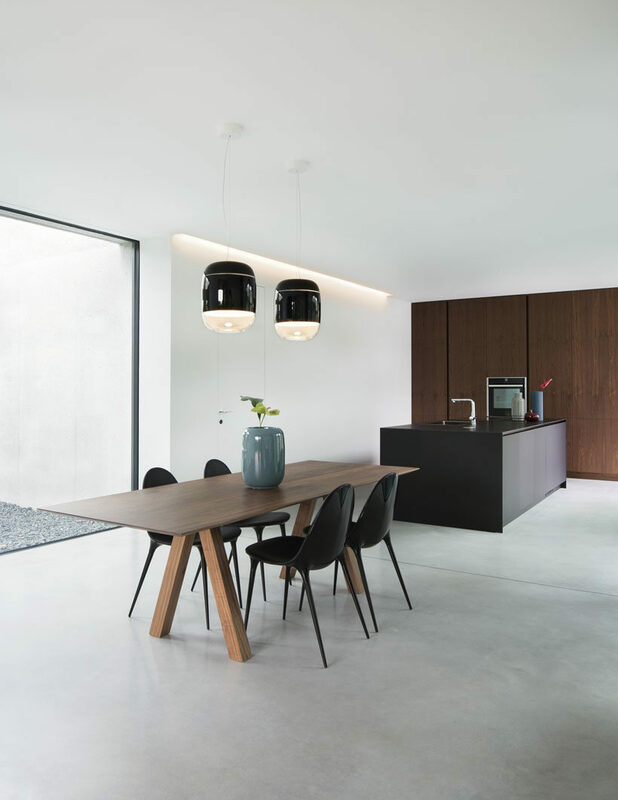 A materic work of architecture, based on simple, contemporary geometric forms. PHouse is a residential building designed by the studio Tixa at Cassola, in the province of Vicenza, with a single level. It is conceived as a sort of large window facing the external spaces. Access is through a path made with wood planks that gradually advances through a Mediterranean garden and a separating partition. The volume of the villa is dynamic with its alternation of full and empty zones, allowing light and greenery to mingle in all the spaces. 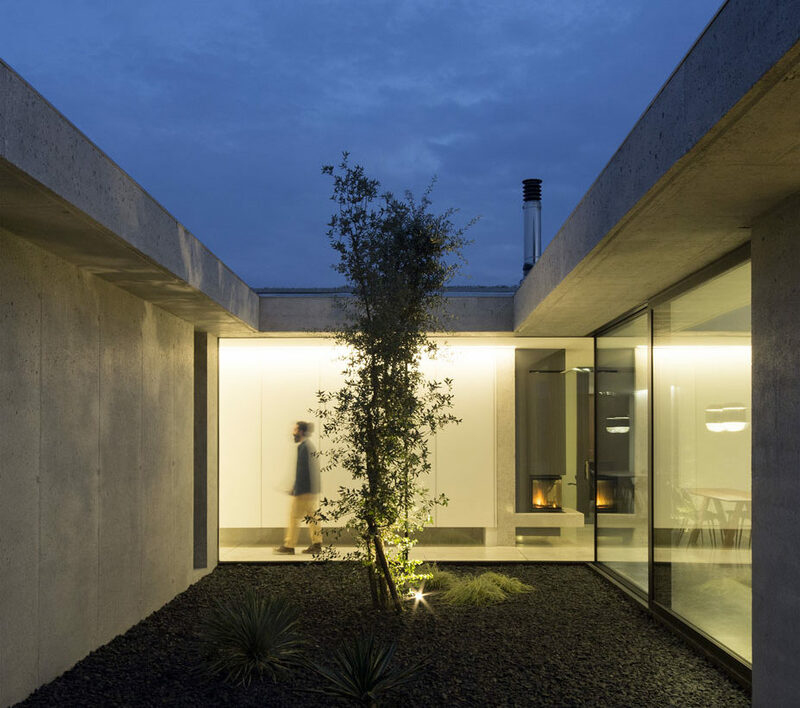 An opening camouflaged in the wall offers access to a private garden containing the covered portico and the entrance. 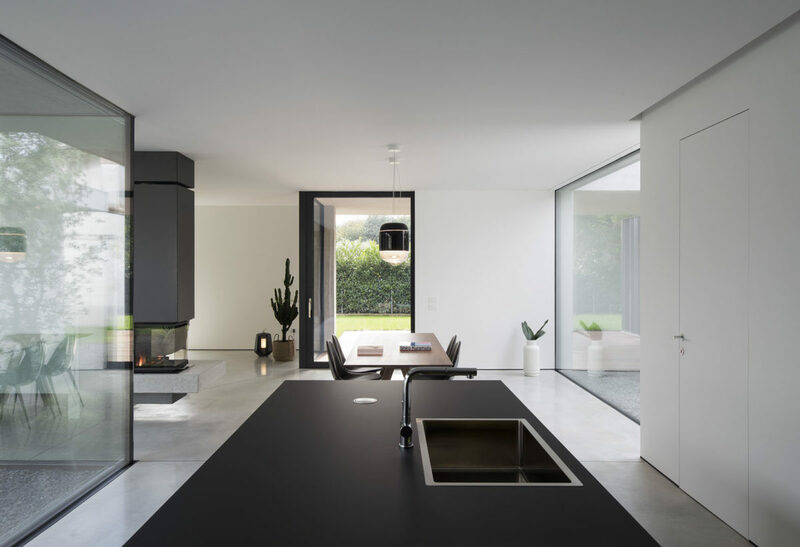 The living area is a single space where the large openings on the four sides of the building offer views of the internal patios and the garden, bringing natural light and a sensation of total indoor-outdoor permeability. The master bedroom, with a large opening towards the garden, features a private bath and a large wardrobe. To combine aesthetics and functional quality, for the bathrooms of the residence the choice has gone to the Diametro 35 faucets by Ritmonio in the chrome finish. The wall-mounted mixer contrasts with black button facings in the bathroom of the living area; in the master bedroom the minimal elegance of the series becomes a striking feature of the open bath zone, complete with shower.